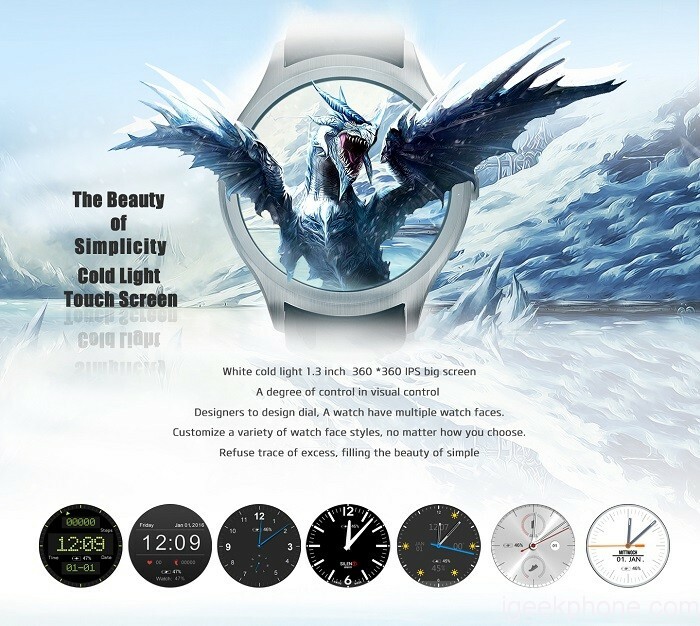 A very special Smartwatch is there to buy the deest D99 on Gearbest. The device has a GPS module and you can make calls with it. However, both the housing and the display look like from another time. Who finds retro chic and charming, which could take on the deest D99 Smartwatch fallen. Every now and then we suggest you products from the range Gearbest – either because they are reduced, or because they somehow fall out of line. The deest D99 Smartwatch rather belongs in the latter category of products. It acts a bit like a Walkie-Talkie calculator mobile phone, the McGyver series hero would have worn, but not necessarily like a Smartwatch in the year 2016. While many manufacturers try getting smaller, to be modern and trendy, these “trends” on the deest D99 seem to be passed. When ever you want to set a trend in the product, then there are the casing colours: Rosé gold and gold are trend colors, particularly well coming mainly in Asia. The housing is available in these two colors, there’s a black plastic bracelet, you however in principle but can trade off against each other, because the lock is compatible with commercially available watch bracelets. And the technology? As mentioned, there is room for a micro SIM card in the smartwatch. The is compatible with GSM networks, which spark on 850, 900, 1800, and 1900 MHz. You can run phone calls on your wrist and assume. In addition, it offers Smartwatch GPS and an integrated SOS function. The display is square vertically and measures 0.96 inches in diagonal. The resolution is 128 x 64 pixels. In addition to 32 MB of RAM and 32 MB of ROM, a Mediatek MTK6261 processor is installed. The integrated battery provides 400 mAh capacity and can be recharged via a micro-USB connector on the device. A pedometer allows you to draw on fitness data, you can synchronize with apps for iOS or Android . Currently you can order the deest D99 watches for kids at 33 euro from Programingplease.com.